What Makes the British Airways Flights Being Operated by Qatar So Unique? 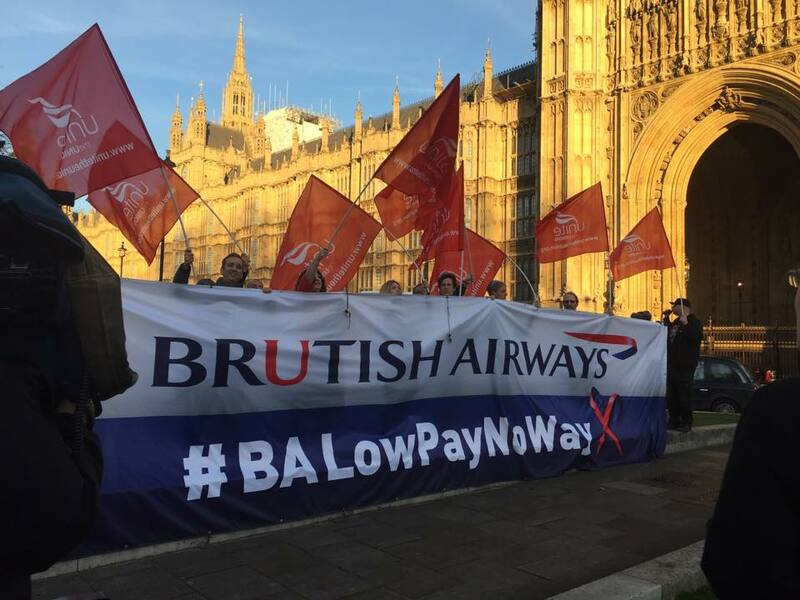 For the past few months, British Airways has been facing a long period of industrial action by its mixed fleet cabin crew, with approximately 1,400 crew members striking for around two weeks at a time, every two weeks since June. Now, in late-July, yet another strike is well underway and is expected to last until August 1 at the earliest. British Airways has been able to manage the situation well, partly due to the fact that it has wet-leased nine Qatar Airways planes. To put it simply, this means BA is essentially paying Qatar Airways for the use of nine of its A320 aircraft, as well as all the necessary flight and cabin crew to maintain and service them. 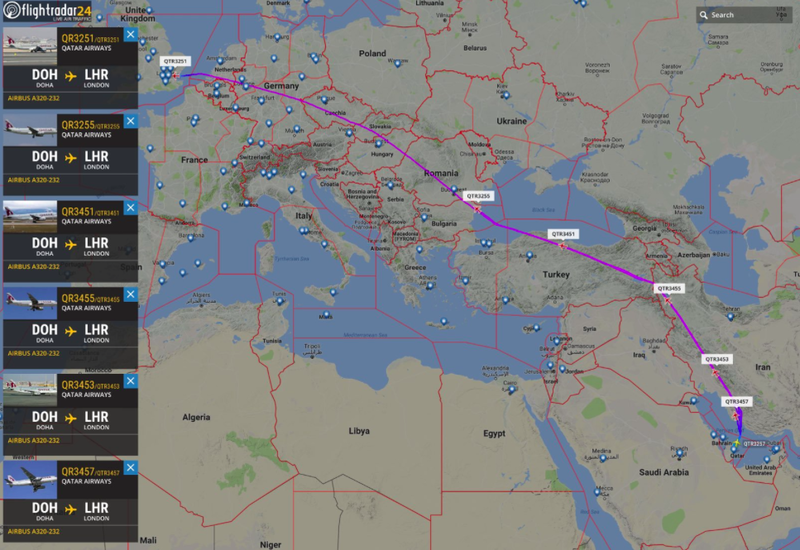 As you can see in the screenshot below, the Qatari jets flew over, in a convoy-like fashion, at the end of June, along with the cabin crew who are based in London for three weeks at a time while they operate flights as part of the British Airways schedule. It’s an incredibly unique scenario, as no other European Union airline has ever been granted permission to pay a Middle Eastern carrier to operate its flights for them. Aviation law across the EU generally states that if an airline needs extra aircraft to help during a period of disruption, it should look at airline leasing options within the same country, or at least closer to home. When BA first applied to the Civil Aviation Authorities for permission to lease these Qatari aircraft, there were mixed reactions from the public. On one side, many were pleased that British Airways was actively making plans that would reduce the impact of the strike. It also makes perfect business sense given that Qatar Airways owns a 20% stake in BA’s parent company, the IAG Group. Furthermore, BA and Qatar are both Oneworld alliance members, airline partners and already codeshare on multiple flights. The relationship between the two airlines is further strengthened by the fact that Qatar owns a stake in BA’s hub, London Heathrow (LHR). However, as with all big decisions, some who found out about BA’s intentions to use Qatar Airways planes and crew were not too pleased. Many argued that British Airways should not be using a foreign carrier in the first place, and that Qatar especially should be the least of all the options because of the political climate surrounding the blockade and airspace restrictions being imposed on certain airlines in the Middle East. Image courtesy of Mixed Fleet Unite’s Facebook page. Regardless of your position as to whether or not BA should use Qatar during the strike, the important news for passengers is that disruptions have been reduced significantly as a result of the recent adjustments. With the political debate surrounding the strike out of the way, we can now get into the details and find out what this means for passengers. Qatar-operated flights are on its Airbus A320 aircraft, which features 12 large reclining business-class seats in a 2-2 configuration, a far more spacious setup than the empty middle seat that’s BA’s version of European business class. Qatar-operated flights offer free snacks/food for all passengers, unlike on BA, which, since January, has scrapped all complimentary onboard offerings — you can’t even ask for a glass of water! — and replaced it with a buy-on-board bistro service, much like you’d find on a low-cost carrier. Qatar Airways’ onboard service by cabin crew has become famous. We’ve reviewed Qatar multiple times on TPG, and each time, the crew are noted as being extremely polite, professional and trained to an incredibly high standard. On nearly all flights, cabin crew continuously show attentiveness and hospitality that the state of Qatar itself is famous for. Qatar crew also go through extensive training for dealing with premium passengers — they address premium passengers by name and training even comes down to the way they’re taught to kneel when communicating with passengers, rather than lean over them. As a result of the uniqueness of these flights, I’m booked to fly onboard a Qatar Airways operated aircraft from London Heathrow (LHR) to Geneva (GVA), traveling in business class, and returning in economy. On these flights, I’ll be able to see just how Qatar Airways crew apply their service to a British Airways short-haul flight, find out what passengers think about having a real business-class cabin and see if the Qatar Airways crew — who are used to serving gourmet four-course meal — will do when they have to sell Percy Pig candy onboard British Airways flights. Stay tuned to TPG this week for more coverage of this unique flight experience.